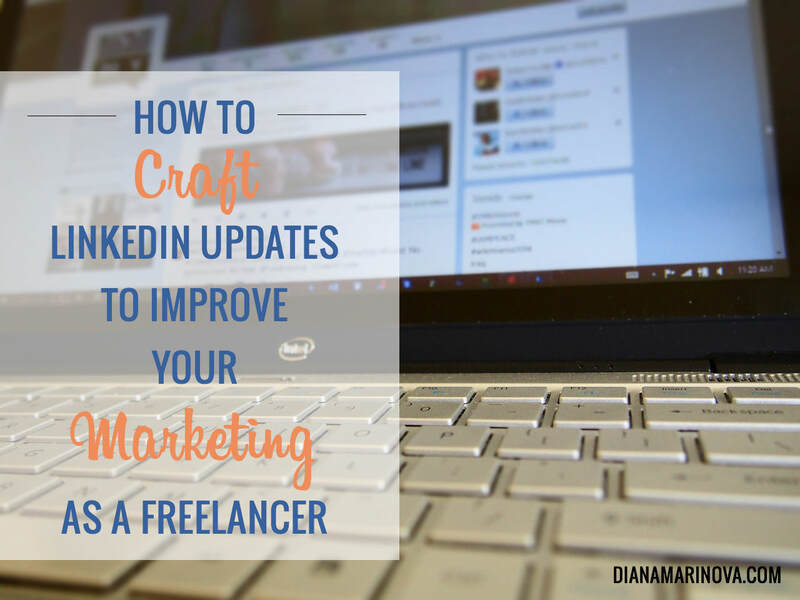 Many of my readers struggle with crafting LinkedIn updates. I know it, because many of you have asked me for help in that domain. So in this post I’ll share four steps how to write better LinkedIn updates. Furthermore, I’ll show you how to put the tips into practice through a real-life example. Read on. Figure out where on LinkedIn you want to post your update – on your profile, on your company page, or in a LinkedIn group discussion. Depending on the place, often the length of the update would be different – shorter for your profile or page, or a descriptive title and paragraph for a group discussion. Make sure you know the profile of your target audience – e.g. people who follow you or your company page, or group members who will be exposed to your group discussion. Don’t go for a generic type of discussion – always make it specific to your target audience needs and pains. Think about the value your update will bring to the people reading it, regardless its distribution channel (profile, page, or group). What’s in it for them? Don’t tell them how cool something is – focus on which of their problems this thing will solve and how. Make sure you include a call to action – after all you want your target audience to do something after reading your update on LinkedIn, right? Make sure you tell them what it is – like, share, read, subscribe, tell their network, call you, anything else? But again, make your call to action about solving their problem, not about buying your stuff. You should absolutely make sure your updates are not salesy – LinkedIn members hate to be sold to via LinkedIn . . . Always remember it’s a professional network and that you are there to network, not to sell. Let’s put the above LinkedIn updates tips into action. For the purposes of this example, I’ll use an update that a fellow blogger (Ashley Faulkes from MadLemmings) wanted to share in a LinkedIn group a few months ago, about the mega marketing giveaway he was running at the time. Did you understand what this update was about? Did you understand what should you do to participate? Did you understand why should you care? 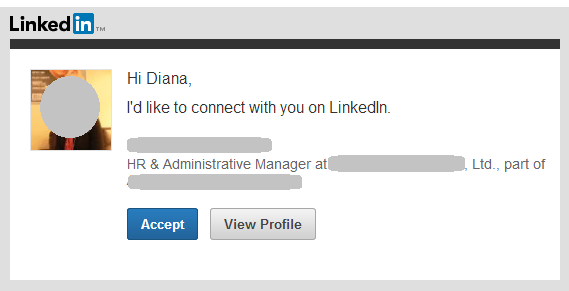 The main problem here is the update is very generic and definitely too salesy for the LinkedIn environment. If Ashley’s lucky, he would be flagged as promotion . . . If he is not lucky, he’d be reported for spam because, as I said, LI members hate sales pitches and although this is a giveaway related update and nothing is being sold, it definitely sound too hyped up. Let’s see how to improve it, following the above tips. STEP 1 – figure out where on LinkedIn you want to post your update – I want to start a discussion in a LinkedIn group. This means it should have an informative title and a paragraph or two, describing what is it that I am sharing and why the reader should read and click through. STEP 2 – make sure you know the profile of your target audience – the target audience in the specific LI group consists of experienced freelancers, especially from US, Canada and UK; primarily writers though (at least the active ones who comment; those who read without commenting are from all professions). STEP 3 – think about the value your update will bring to the people who will read your update – provided the target audience consists of writers and hangs around in LinkedIn, it’s safe to assume they use LI for networking and finding new clients so a possible problem for solving would be improving their LI presence and/or marketing efforts. Another problem newbie freelance writers might have is running their own blog so all products relating to hosting, social media marketing and community building would be relevant, too. STEP 4 – make sure you include a call to action – after someone reads the group discussion, I want them to enroll in the giveaway and share it with their friends and colleagues. So I need to tell them how to enroll and that sharing brings them more entries (to encourage sharing). Blogging community online course – being a freelance writer, you probably know how important it is to run your own blog; this course will help you make it a successful one when it comes to building a loyal and strong community around your personal brand. This is included in the 1st and 2nd prize packages. These are just to get you started. A lot more prizes are included – for better SEO, online business development and online marketing, social media, blog promotion… $6500 worth of prizes, so check the details and enter here: http://enticeonlinemarketing.com/giveaways/mmg/?lucky=81 – 5 more days left to enroll. Do you see the difference between Ashley’s original update and my proposed version? Tell me in the comments – if you were a freelance writer in the said LI group, would you click on either of the updates? Why or why not? And remember that Ashley’s giveaway is now closed. No need to go about sharing or trying to enter it – you can’t. I used this giveaway update with illustrative purpose only. i wouldn’t click on either of the updates, because not only do I not want to be sold to on Linkedin, I don’t want to be marketed to either. When I read a B2B blog, I already know that it’s marketing content disguised as something helpful. However, that’s fine, because I’m looking for information and in many blog posts, there is useful information; in the form of hints, tips or guidance on the subject matter I’m researching. The fact that there will most likely be a call to action to buy something, or sign up for something, or subscribe to something is neither here nor there, because I want the information that the blogger has to offer in the post. I’ll simply ignore the CTA unless I’m actually looking to buy what’s being sold. As far as I’m concerned, Linkedin is or should be, a professional-networking site, not a marketing’ flytrap–although that’s what it’s rapidly becoming. What I want to read about on Linkedin is the experiences, professional updates, and real-life anecdotes of others in my niche (and perhaps other niches as well). When I join a Linkedin group, I want to take part in discussions, not read about somebody’s giveaway. If I want to take advantage of a giveaway, I’ll Google it, thanks. Savvy freelancers, like any savvy professionals, can smell marketing content from miles away. This is especially true of freelance writers, many of whom make a living writing marketing copy packaged within useful information, because that’s what our clients want from us–that is inbound marketing–and that is what many of us generate to earn a crust. Of course, the art is in the packaging –ensuring that there really is something of value in which to bury the subtle marketing messages. So when I start to see marketing lead magnets such as giveaways popping up in the Linkedin discussion groups that I join, not only will I not click on them, I’ll also more than likely stop subscribing to that group, as I have in a number of cases where groups have started to fill up with marketing spam. In my home country we have a saying–You can’t kid a kidder. That’s a particularly appropriate adage in the case of marketing “marketing” to freelance writers, I’d say. Of course I realise that freelance writers can have many different specialities, so if I sound like I’m generalising, it’s because I am. To those who are not copywriters, I’d say this: If you want Linkedin to remain a great professional networking site, where you can tap into valuable thought-leadership and professional guidance, keep your eyes open for marketing copy that sneaks into discussion groups and be sure to flag it for what it is–something that has its place elsewhere, not in in the midst of professional peer-to-peer interaction. Incidentally, Diana, I think your piece would be better titled “How to Craft Marketing Messages in Linkedin and Make them Look Like Updates”, simply because that’s really what the post is about. That’s no criticism; just an observation, and I realise that there are many who have no problem with Linkedin becoming a marketing, rather than a networking platform. I just happen not to be one of them. Hi, Simon – thanks for taking the time to write such an awesome comment! I agree with most of what you say … about where LI is headed and using it for networking rather than for marketing, etc. But your comment just confirms how important the second step is – considering the target audience. As you said, savvy freelancers (especially writers) wouldn’t have use of this and they might even be annoyed by it – but think about it, would it be the same for newbies? Many starting freelancers (especially writers) have no clue how to market themselves. This giveaway could help them, if they won. And not disguising it as something else but focusing their attention to the marketing benefits they would have, gives them the chance to make an informed decision, knowing that this is a giveaway (not tricking them into clicking through thinking it is a useful article whereas it’s just a marketing message). So while I agree with the general notion of your comment, I don’t quite agree with the premises. I like your suggested title (you are right about the current state of my post!) – but rather than changing the title, I will add another example in the post (or two) that are not promotional but still utilize the tips. This way, I hope freelancers will see how to craft better non-promotional updates and engage the intended audience. You’re very welcome and I think that’s a great idea for updating your post. I completely agree with what you say about potential value for new freelancers, although it would also be good to see some citations evidencing that new writers, as you claim, are especially likely to be clueless about how to market themselves. Personally, I would surmise (as I have no firm evidence) that anyone with an aptitude for writing, also has a penchant for research, since it is such an important facet of the vocation. I didn’t address the new writers though ( I really dislike the term “newbies” when we’re talking about professional topics), as you had mentioned that the group in which the marketing pitch was placed, was frequented primarily by “experienced writers”. If that was the case, then re-hashed or not, it probably wouldn’t be a wise choice to post the message in that particular group. As you say, it would be better to research the target audience and then post the message in a group frequented by new freelance writers (although I maintain that the only marketing one should do in Linkedin is the marketing of oneself–and that by way of writing a great profile, rather than spamming discussion groups). Interesting, post. For the record, your version was clearer, I wasn’t sure what Ashley was proposing. I have to say, I have seen some pretty strange posts on LinkedIn, everything from marriage advice to recipes. While I would not have pegged these topics for LinkedIn, the post that I cringe about is a recent one directed at marketing people. The title was supposed to be, “PR Challenges in 2016”. The problem was that the writer actually wrote, “PR Challanges in 2016”. As someone who regularly misspells things, I had sympathy for the author, but it was a good reminder, before you post anything, make sure you’ve given it a once over for grammatical and spelling errors. Although the advice in the post was sound, the misspelling in the title detracted from the whole post and his positioning as a marketing expert.. While we got a good laugh, when we put this same scenario in business context, a silly typo can really undo the hard earned image through marketing efforts. Thanks for stopping by, Debra – good to have you back!